Plant ID Course students during the field trip to Onkaparinga National Park. Photo: M. Waycott. A Plant Identification Course for 3rd year university students was recently held by The University of Adelaide and the State Herbarium of South Australia: ENV BIOL 2510 – Plant Identification II. Before the face-to-face sessions, students were provided online resources and recorded lectures. The one-week intensive course took place in the semester break. Almost 60 students had enrolled in this course. The course co-ordinators were Dr John Conran from the School of Biological Sciences and Chief Botanist Prof. Michelle Waycott (a joint appointment of DEWNR and the University). 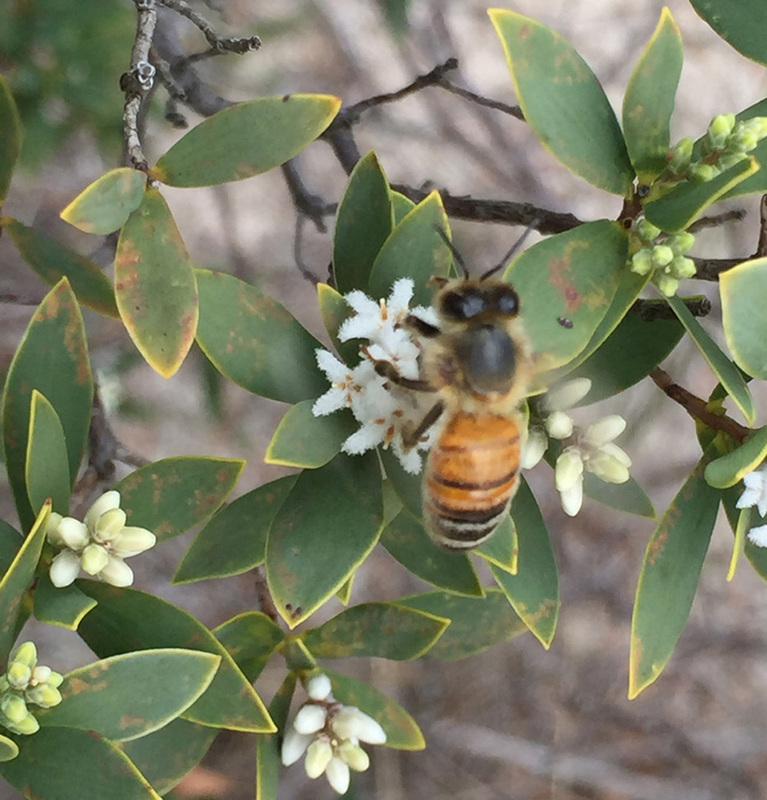 Bee on Leucopogon parviflorus (coastal bearded-heath) in Aldinga Scrub Conservation Park. Photo: M. Waycott. Students were taught the basics of plant structure, plant names and nomenclature, key characters of important plant families, weed identification, the use paper-based and electronic identification keys, and how to prepare pressed plant specimens. 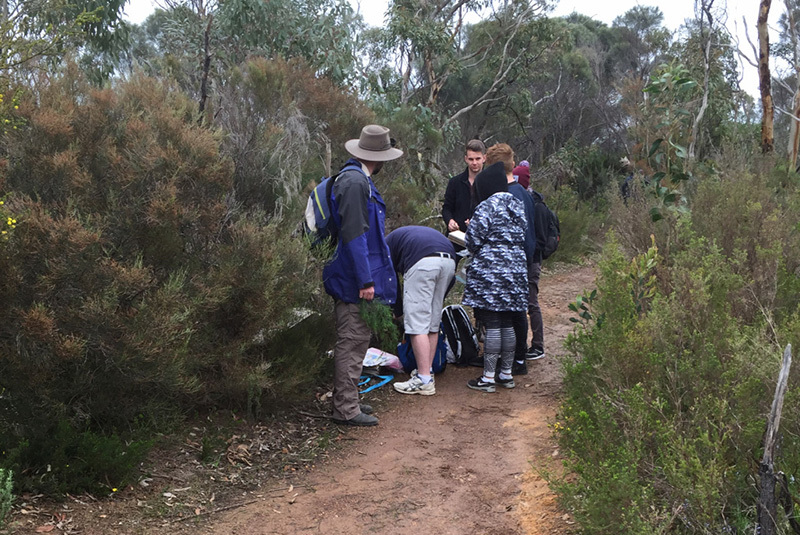 A field trip to Aldinga Scrub Conservation Park and Onkaparinga River National Park helped students to practice their plant collection and field ID skills. Student groups were guided by State Herbarium staff members and university tutors. In future years, the course might also be opened to members of the public, as well as students from The University of Adelaide. This entry was posted in News on 20 October, 2016 by Jürgen.